It’s on a brand new netlabel, and it’s a single track, and it was recorded and released on that most singular of days, January 1, 2011 (aka 1.1.11, or 11.1.1 depending on how you plot it). 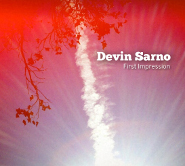 It’s Devin Sarno‘s appropriately titled “first-impression,” appropriate given that it’s the first track off his new, nicely named netlabel, Absence of Wax. As in, digital-only. The brief liner note states that it’s “an improvised composition for bass guitar and field recordings.” The field recordings include a barking dog and wind chimes, and the guitar is not recognizable as such. It’s more of an epic expanse of bass-ness, out of which the field recordings occasionally peek (MP3). It ends a beat prematurely. As a result, it hints at something larger. The same, one might hope, applies to the label itself. Sarno runs the new netlabel, which is located at devinsarno.com/absenceofwax. Also on Twitter, at twitter.com/absenceofwax.